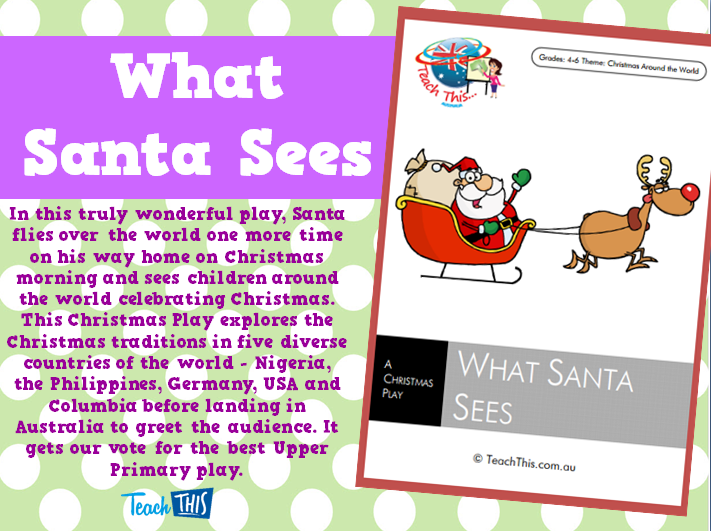 In this truly wonderful play, Santa flies over the world one more time on his way home on Christmas morning and sees children around the world celebrating Christmas. This Christmas Play explores the Christmas traditions in five diverse countries of the world - Nigeria, the Philippines, Germany, USA and Columbia before landing in Australia to greet the audience. 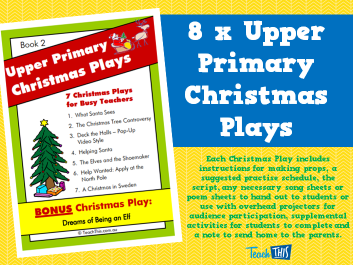 It gets our vote for the best Upper Primary play.